J. J. Charlesworth is a freelance art critic and associate editor of the London-based international art magazine, ArtReview. Charlesworth studied fine art at Goldsmiths College, London, in the mid-1990s, before turning his hand to criticism. Since 1999, he has published reviews, articles and commentaries in publications such as Art Monthly, Flash Art, Modern Painters, Contemporary, Time Out London, Third Textand the Daily Telegraph newspaper. He has also published numerous features and catalogue essays on artists such as Roger Hiorns, David Claerbout, Sarah Lucas and Liam Gillick. As well as writing, he has lectured and taught extensively over the years, tutoring at London's Royal College of Art, the Royal Academy Schools and Central St. Martins College of Art and Design. He is at the moment completing a doctoral dissertation at the Royal College, a study of art criticism in Britain during the 1970s. He is a member of the executive committee of AICA UK. Richard Vine is the managing editor of Art in America, where he writes frequently on contemporary art and ideas. He holds a Ph. D. in literature from the University of Chicago and has served as editor-in-chief of the Chicago Review and of Dialogue: An Art Journal. He has taught at the School of the Art Institute of Chicago, the American Conservatory of Music, the University of Riyadh in Saudi Arabia, the New School for Social Research and New York University. His articles have appeared in various journals, including Salmagundi, the Georgia Review, Tema Celeste, Modern Poetry Studies, and the New Criterion, and in numerous art catalogues and critical compendiums. His book-length study, Odd Nerdrum: Paintings, Sketches, and Drawings, was published by Gyldendael / D.A.P. in 2001.,His book New China, New Art surveying art in China from 1978 to the present, was released by Prestel Publishers in autumn 2008 and reissued in an updated and expanded edition in autumn 2011. In autumn 2013, he curated the international exhibition, 'Darkness Visible', at the National Art Museum of China, Beijing. Rachel Withers holds degrees in Fine Art and Critical Studies and the History of European Art and Architecture. Since the late 1990s she has been a frequent contributor to Artforum International. She has written for The Guardian, New Statesman and other mainstream and art-specialist media, and has contributed to numerous art museum and exhibition publications, including the catalogues of the Venice and Sydney Biennials and Tate Modern's inaugural Handbook. Her illustrated monograph on the Swiss artist, Roman Signer, appeared in 2007. She is now working on an installation focusing on the contents of Signer's library and is developing a comprehensive catalogue of the work of Geneva-based choreographer and live artist, La Ribot. Since the early 1990s, she has taught art theory and practice to undergraduate and graduate art students in many institutions, including Central St. Martin's College of Art and Design, Wimbledon College of Arts, and the Byam Shaw School of Art. She is an Executive member of the UK Section of the International Association of Art Critics (AICA). Karen Smith is an art historian specialising in China's contemporary art. She has authored numerous monographs on artists, including Ai Weiwei, Liu Xiaodong and Jia Aili, and books on China's contemporary art scene and its history, including Nine Lives: The Birth of Avant-Garde Art in New China (2008) and, most recently, the series titled As Seen: Notable Artworks by Chinese Artists (2012/2013). As independent curator, her work includes 'Evolution a Question' (Yuan Space, 2013), 'Hive' (Today Art Museum, Beijing, 2011), 'The Real Thing' (Tate Liverpool, 2007), 'The Chinese: Photography and Video Art from China' (Kunstmuseum Wolfsburg, 2004), 'My China Now' (UK-wide Chinese film programme, 2008), solo exhibitions for Liu Xiaodong, Ai Weiwei and Xu Bing in the US and the UK. 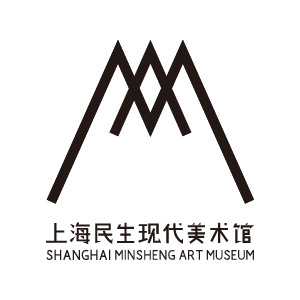 In August 2012, she was appointed Executive Director of OCAT Xi'an, the third contemporary art museum in the OCAT museum group, founded in Shenzhen in 2005. She has lived in Beijing since 1992. Carol Yinghua Lu lives and works in Beijing. She is a contributing editor for Frieze and is on the advisory board of The Exhibitionist. Lu was in the jury for the Golden Lion Award at the 2011 Venice Biennale, co-artistic director of the 2012 Gwangju Biennale and co-curator of the 7th Shenzhen Sculpture Biennale in 2012. Since 2012, she has been the artistic director and chief curator of OCAT Shenzhen. She was in the jury of the Pinchuk Foundation's 2012 Future Generation Art Prize. Lu was the first visiting fellow from Asia-Pacific at Tate Research Centre in 2013. Together with Liu Ding, she initiated the research and exhibition project, 'Little Movements: Self-Practice in Contemporary Art', which was first presented at OCAT Shenzhen in 2010 and Museion Bolzano, Italy, in 2013. She and Liu Ding are currently working on a research project, titled 'From the Issue of Art to the Issue of Position: Echoes of Socialist Realism', which is a critical examination of the methodologies and perspectives in the narratives of contemporary art histories in China. Lu has co-authored several publications with Liu Ding, which include: Little Movements: Self-practice in Contemporary Art (Guangxi Normal University Press, 2011), Little Movements II: Self-Practice in Contemporary Art (Walther König, 2013), Accidental Message: Art is not a System, Not a World (Lingnan Fine Arts Publishing House, 2012), and Individual Experience: Conversations and Narratives of Contemporary Art Practice in China from 1989 to 2000 (Lingnan Fine Arts Publishing House, 2013). YI Ying is a professor at the Central Academy of Fine Arts as well as an art historian and an art critic. He is the head of the CAFA Journal editorial department, the director of Art Research magazine and the editor-in-chief of World Art magazine. In his influential writings, Yi Ying has integrated the study and criticism of Chinese contemporary art and culture with an examination of modern China's relationships with the world. His numerous books include The Sun Sets on the Academy, The Case Study of a Chinese Contemporary Oil Painter: LIU Xiaodong, From Hero Lauds to the Earthly World, Slants: Reviews of Chinese Contemporary Artists, Western Art in the 20th Century, Words from YI Ying, A Crisis of Originality, Floating Reed, Transition and Chinese Contemporary Art Criticism. Yi Ying's translations include translated Panofsky and the Foundations of Art History, The Oil Painting Materials and Techniques of Contemporary Artists, Arts and Civilization, Vision and Design, and L'ideologia del traditore. He has also written and edited numerous books, including Selected Works of Western Modern Art and Aesthetics (the volume on the Plastic Arts), Selected Works of World Art and Selected Works of Western Contemporary Art. SU Wei (born, 1982) is an independent art critic and curator, based in Beijing and Hong Kong. Since 2008, his work has focused on theoretical practice and writings on contemporary art. SU Wei received his BA at Beijing University in 2004, MA at the Chinese Academy of Social Sciences (CASS) in 2007 and PhD at CASS in 2012, after spending two years researching his dissertation in German, at the Free University, Berlin (2008-2010). SU Wei was also involved in the curatorial team of 'Little Movements: Self-Practice in Contemporary Art' in 2011. In 2012, Su Wei co-curated the 7th Shenzhen Sculpture Biennale, OCAT Contemporary Art Terminal (OCAT), Shenzhen. In January 2014, he curated the exhibition, 'Keep the Modern Going: Immersion, Awaiting and Idealism', also at OCAT, and in March 2014, the exhibition, 'Position of Interference: Zhao Liang's Solo Exhibition', at the Three Shadows Gallery, in Beijing. His publications include Little Moments, Self-Practice in Contemporary Art (with others), Guangxi Normal University Publishing House, 2011; Accidental Message: Art is Not a System, Not a World (with others), Ling Nan Art Publishing House, 2012; Individual Experience: Commentaries and Narratives of Chinese Contemporary Art from 1989-2013 (with others), Ling Nan Art Publishing House, 2013. He has also written a commentary (with Carol Yinghua Lu) on Hans Belting: Art History after Modernism, in his own translation of the work. Joobin Bekhrad (BBA, MSc.) is the founder and Editor of REORIENT, a publication celebrating contemporary Middle Eastern arts and culture. He has contributed to such publications as the Cairo Review of Global Affairs, Christie's, Encyclopaedia Iranica, Harper's Bazaar Art Arabia, Canvas, and Songlines, seen his articles translated into Arabic, Italian, and Norwegian, among other languages, and interviewed personalities including Parviz Tanavoli, Ziad Doueiri, Mohammad Rasoulof, Joana Hadjithomas, and Khalil Joreige. Writing about visual art, literature, music, and film, many of his articles focus on themes such as rock and roll, Orientalism, and the experience of being caught between two cultures. Joobin is also the author of a new translation of Omar Khayyam's poems from Persian into English. He is currently based in Toronto, Canada. Hanlu ZHANG is a writer, translator and independent curator who is working between New York and China. Born in Shanghai, she studied art history and film studies at the University of Pittsburgh and received her Master's degree in Art History, Theory and Criticism from the School of the Art Institute of Chicago. Zhang has curated group and solo exhibitions/projects in a variety of spaces in NYC and China, such as No Longer Empty, 49B Studios, and M50 Art Space. Zhang actively writes about contemporary art and culture for publications including Artforum China, Ray Art Center, LEAP, The Hunting and others.